Quilted Fitted Mattress Pad Just $16.57! Down From $36! You are here: Home / Great Deals / Amazon Deals / Quilted Fitted Mattress Pad Just $16.57! Down From $36! Amazon is currently offering this Quilted Fitted Mattress Pad for just $16.57 down from $35.99 PLUS FREE shipping with Amazon Prime or for orders $25 or more! This Plush Siliconized Fiberfill Mattress Pad provides you with a heavenly sleeping experience. It has been made with high-loft polyester fiberfill that fluffs incredibly to give you cozy feel and most relaxing sleep. The top is made of brushed microfiber fabric that gives superior comfort against your skin. 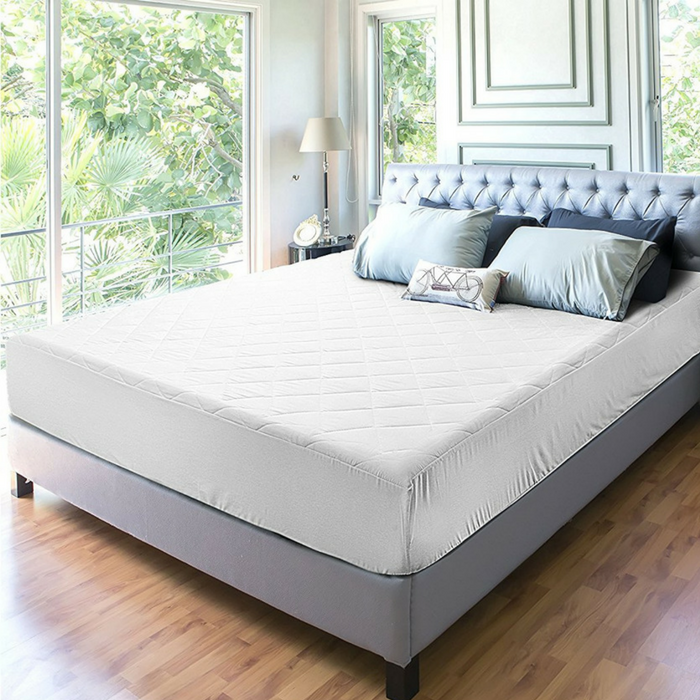 With this mattress pad, you can revitalize an aging mattress, change the softness or firmness, or give yourself an extra layer of luxury to sleep on. Sitting on top of the mattress, under your sheets, it offers extra padding and comfort that could make all the difference to your quality of sleep. Suited for personal use or a guest bed, the polyester mattress pad makes a versatile addition to your home.